Bringing the best solutions to the situations that arise when flooding incidents are involved requires both skill and talent at eliminating challenges on the spot and that is why people trust in our water damage Farmers Branch team with 911 Restoration Fort Worth for everything. Our water damage Farmers Branch specialists are ready for any kind of situation that arises, and they can be at the scene of the crisis within 45 minutes to take care of it. Parallel with our team’s ability to get to the site of a catastrophe quickly, we are also available 24/7/365 to take on emergencies whenever they spring up. And as with all of our projects, we make sure to bring the latest drying technology to the job so that there is nothing to stand in our way of eliminating all of the black water quickly and for good. 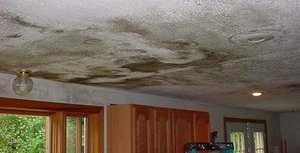 Don’t let your home suffer the ill effects of a sewage backup, ceiling leak, pipe burst, or any other means of flooding alone. 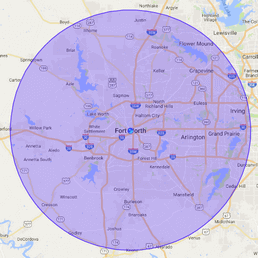 Contact our water damage Farmers Branch specialists for help today! When it comes to the various ways that water can damage a piece of property, our experts are knowledgeable every step of the way, but they are also contacted regularly for advice on preventing such incidents too. Never let the trees around your property grow too large or unwieldly as this may allow dead branches to fall down onto your roof and bring in water damage during storms. Check your home’s pipes now and again to ensure that if you spot any rusting or corrosion that you replace these sections quickly to avoid a burst and thus water damage. Make sure to trim any roots out of the way of pipes that connect the main water line to your home. The hoses and fittings on your water-based appliances can fail after wear and tear, so make sure to check and replace them when needed. Have a professional plumber or restoration expert inspect your system every few years so that you can eliminate any small problems before they grow larger and more difficult. There are a host of different ways to protect your home from the effects of water damage invasion, and this is not a completed list, so if you have questions be sure to contact us for more information. Don’t let your home or office location suffer from a water invasion without help from the best in the industry. 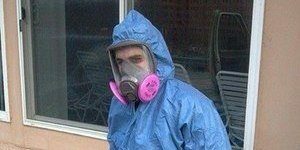 Contact our water damage Farmers Branch team with 911 Restoration Fort Worth for total care today! Our water damage Farmers Branch experts have seen and solved all imaginable water invasion scenarios in our time, and that is why we have grown to become the go-to source for services in the area. People rely on not only the expertise of our teams, but also their impressive ability to eliminate the worry that these times can enflame. Our water damage Farmers Branch specialists make sure to walk out clients through every phase of the restoration process so that people feel just as connected to their property’s rejuvenation as they did to it before the tragedy. In concert with our desire to always put the customer first, we are also totally dedicated to professionalism. We will even make sure to fill out all of the insurance paperwork for our clients so that they can concentrate on getting their lives back in order while we fix their home. If your office front, or home has recently been through a water crisis of some sort, then don’t hesitate to contact our water damage Farmers Branch experts with 911 Restoration Fort Worth for help today!